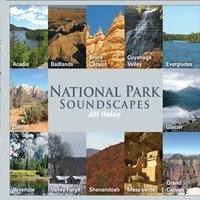 Composer Jill Haley and guitarist David Cullen will perform songs from the CD National Park Soundscapes at the Historic Wayne Theatre/Ross Performing Arts Center on Sunday, Oct. 2, at 3 p.m. Admission is pay what you will. She wrote several more pieces while spending a month at Badlands National Park in South Dakota, then hit on the idea that became the CD. Parks represented in National Park Soundscapes also include Acadia, Bryce Canyon, Cuyahoga Valley, Everglades, Grand Canyon, Mesa Verde, Shenandoah, Yosemite, Valley Forge and Zion. The Oct. 2 concert at the Wayne Theatre will include selections that feature Shenandoah National Park, Mesa Verde National Park and Badlands National Park. The Wayne Theatre/Ross Performing Arts Center is located at 521 West Main Street in downtown Waynesboro. For more information, call (540) 943-9999 or go online at WayneTheatre.org.